Fluker, McDougald and Carson all figure to be gametime decisions. 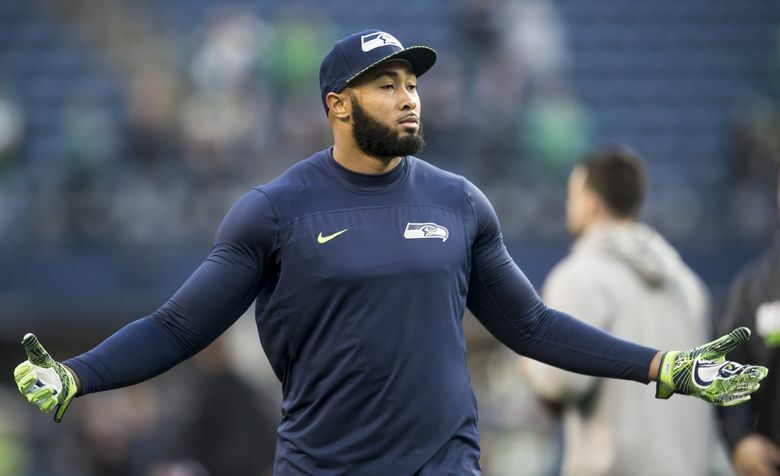 The Seahawks have listed seven players — including five starters — as questionable for Sunday’s game in Los Angeles against the NFC West-leading Rams. The five starters listed as questionable are RB Chris Carson (hip), OL D.J. Fluker (calf), safety Bradley McDougald (knee), linebacker K.J. Wright (knee) and defensive tackle Shamar Stephen (foot) with coach Pete Carroll saying the status of all may not be clear until game day, though he indicated Wright, in particular, should be good to go. Carson, Fluker and McDougald all were unable to finish last Sunday’s 25-17 loss to the Chargers with the injuries listed above. However, Carroll said Carson has been getting better through the week and McDougald was able to practice on a limited basis Friday, indicating some optimism they will be able to play Sunday. Wright has been limited in practice since returning from missing the first six games after knee surgery. But he took part in practice Friday and Carroll said he should be able to play. Stephen has been away this week getting treatment on his foot, Carroll said. But Carroll said Stephen thought he could play. If Carson can’t play, Mike Davis would get the start with Rashaad Penny and C.J. Prosise also likely to see action. If McDougald can’t go then second-year player Delano Hill — who filled in for McDougald in the second half last Sunday against the Chargers — would get what would be his first career start at strong safety. Carroll wouldn’t say who would start in place of Fluker, if needed. Joey Hunt filled in for Fluker in the second half against the Chargers. But he was the only guard available with only seven offensive linemen active. The Seahawks could also go with Ethan Pocic and maybe even Jordan Simmons, though Simmons was listed as questionable with a calf issue. Also listed as questionable was defensive lineman Nazair Jones (illness). But Carroll said Jones was better and able to practice Friday indicating he should be ready for Sunday. A questionable designation officially means a 50/50 chance of playing. Seattle has had 14 players listed as questionable heading into games in the first eight games of the season and eight have played. Listed as doubtful is cornerback Neiko Thorpe, who has been out the past two weeks with a pulled groin, with Carroll saying earlier this week he would likely be out at least two more weeks. Seattle hosts Green Bay on Thursday making for a tough turnaround for already injured players. The Rams did not have any players on their 53-man roster listed as questionable or doubtful with all expected ready to play Sunday. A rapidly growing wildfire in the southern California area Friday forced the Rams to cancel practice with 45 players in the team’s organization — including 20 players and coaches — reportedly forced to evacuate their homes. The Rams practice in Thousand Oaks, an area hard hit by the fires. Thousand Oaks was also the site of a mass shooting earlier in the week in which 12 people were killed. Carroll, coach at USC from 2001 to 2009, opened his news conference Friday sending best wishes to the Rams. But Carroll said as of now there was no reason for the Seahawks to think they will have to alter any plans. The Seahawks are expected to leave for Los Angeles early Saturday afternoon. Seahawks coach Pete Carroll extends best wishes to southern California.